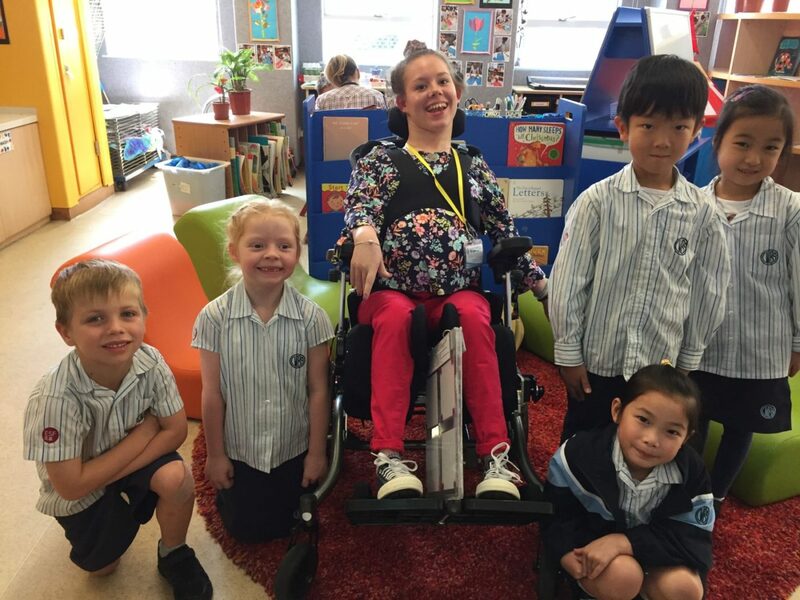 ESF alumna Catrin Anderson, who has Cerebral Palsy, gave an interactive presentation — “Who am I” to Clearwater Bay School Year 1 students earlier. 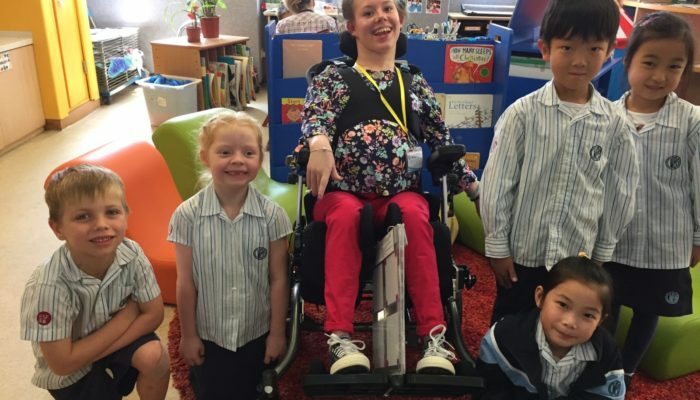 Catrin, who is non-verbal, used only her eyes and a computer to deliver the speech, inspiring the young learners to embrace and respect the difference in every individual. Catrin also listened to students read enabling them to understand Catrin’s differences and methods of communication. They quickly came to see that she was kind, empathetic and much like them. Meeting Catrin has undoubtedly broken down barriers and nurtured a sense of acceptance and tolerance in these young students. It was a valuable experience from which many will benefit. “I enjoy giving presentations to children and would like to share in any school,” said Catrin. Please visit www.catrinanderson.com to see more photos and feedback from parents and students.